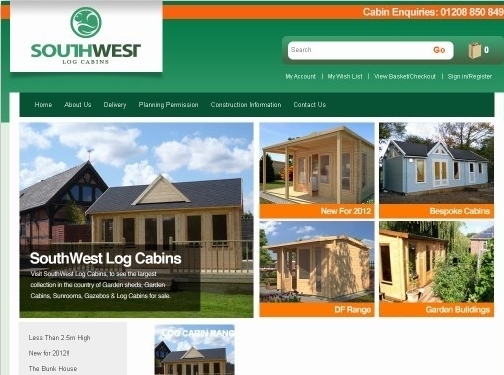 Log Cabins South West have been building and supplying log cabins across the UK for more than 20 years. They offer an enormous range of high quality buildings, from summer houses, pool houses, shed, garages, workshops, offices and even residential houses. These beautiful, great value buildings are perfect for adding space to your property. Whether you are looking to add extra bedrooms for visitors, playrooms for children, garden rooms for use around the pool or somewhere warm and dry to house a snooker table, these log cabins are the perfect solution. As they are wood, these cabins are great buildings to inspire you at work in a studio, office or workshop. Their adaptable materials mean you can easily adapt the building to your needs. They come with a range of options including twin skin which provides a cavity for insulation, and double glazed doors and windows. The buildings are provided ready for you to assemble, or we can assemble them for you. If treated properly these buildings will last a life time. We have more 20 years of experience in the log cabin and construction industry and are always ready to help. UK (Cornwall) based company offering log cabins for sale. Website features details of their products and services (including e-commerce facilities), delivery information, photo gallery, FAQs, testimonials, terms and conditions and full company contact details.